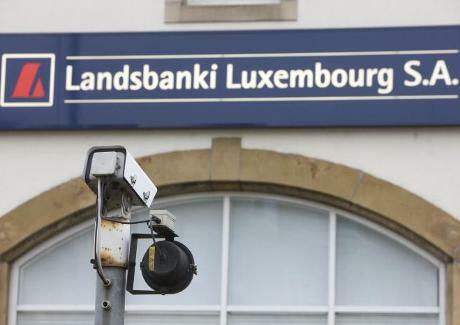 Lawyers acting for Landsbanki victims are due to file a misleading publicity case against Landsbanki Luxembourg S.A., Lex Life and Pensions S.A. and Offshore Money Managers Correduría de Seguros S.L. The case is based on the extensive fraudulent publicity that all three entities issued when offering the product known as ‘SITRA’ (Spanish Inheritance Tax Reduction Scheme), ‘Capital Insurance’ or ‘Equity Release‘. The product was devised as a means to reduce, or eliminate completetely, Spanish IHT. We now know this is not only untrue, as it proposes customers to defraud the Spanish Tax Office. The product was also designed to potentially produce an income, it being the difference between the return on the invested asset, minus charges and expenses, and the cost of servicing the loan. This was just one possibility, the other more likely one being total loss. The advertising stresses prominently the benefits of the product but omits the risks involved -or if at all features these in small print- namely the loss of the property and further. Landsbanki was extremely successful in attracting new customers by using its main feature: reduction of Spanish Inheritance Tax. Lex Life & Pensions did too. The case is to be filed with Courts in Malaga and will focus on the defendants’ advertising. Active participation in the promotion and marketing of the product, generously remunerated with an introduction commission and further, by receiving regular trail commissions (as is the case with Jyske bank too). Attribution of joint responsibility to any media outlet used to promote and market a particular product or service (rulings by Madrid Appeal Court rulings 17/6/2008 and 30/9/2009). A case for misleading publicity narrows down the scope of the dispute as it confines the Judge to rule on whether the advertising is/isn’t misleading, without giving any room for further interpretation (i.e. namely misselling: whether customers could and should have sought further advice, whether they were savvy investors or suitable for the product, whether it was a high risk speculative product known to the public etc.). OMM has declined to come forward to assist claimants, ignoring letters from lawyers inviting them to participate in this case as witnesses, and yet their fraudulent advertising is still today available to the public.